Home > News Release > 2015 > Yamaha's Clavinova™ "CLP-585" Receives "Red Dot Design Award"
Yamaha Corporation's digital piano Clavinova "CLP-585" has received the internationally prestigious Red Dot Design Award in the Product Design 2015 presented by the Design Zentrum Nordrhein Westfalen (Design Center) in Germany. This is the second time the CLP-585 has received a major award, following the receipt of the 2014 Good Design Award*1. While applying the latest technology, the CLP-585 digital piano is designed to pursue its playability and strengthen the instrument's presence as a piano. In addition to piano voicing sampled from Yamaha's CFX grand piano, the CLP-585 also has voicing samples from the Bösendorfer Imperial grand and other pianos. This outstanding feature gives the performer the luxury of enjoying the tones of many different full-scale concert grand pianos. 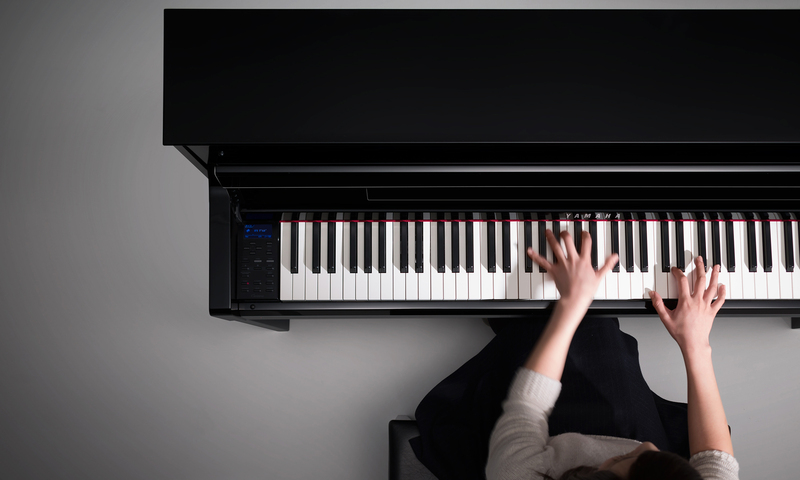 When designing the CLP-585, Yamaha thought of "what a standard piano should be today" within the context of more than 300 years of piano history, thus breaking through the mindset of "acoustic" or "digital" frameworks. 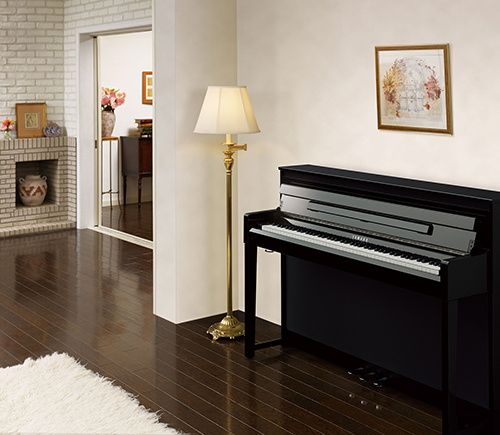 By locating the control panel on the left side and putting the music holder back from the keyboard, the CLP-585 creates the same performing space as an acoustic piano. As a result, although the instrument is compact in body size, the design enables the pianist to have a taste of a natural-sounding performance. 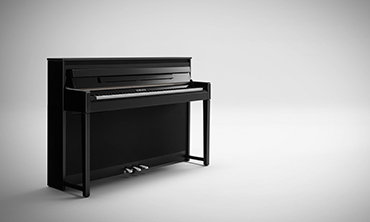 The CLP-585 design incorporates the four fundamental principles of Yamaha's design: "products that customers will use frequently for a long time," "show a gradual increase in value," "have a fundamentally simple design," and "achieve a balance between carefully selected materials and a beautiful finish." I believe that, in the current CLP-585 model, we finally have built a foundation for responding to the question of what a modern standard piano should be like. Looking ahead, we will continue to evolve our piano design over time based on this instrument as a model. The Red Dot Awards (http://www.red-dot.de/) are one of the most prestigious design awards in the world, and comprise three categories: Product Design, Communication Design, and Design Concept. A total of 4,928 products from 56 countries around the world were entered this year. CLP-585's win brings Yamaha's total number of Red Dot Design Awards to 16 after receiving the honor for a total of 15 other designs since 1997.